Tutorcom has over 32 Punjabi teachers currently registered on our trainer database, throughout the UK. Our Punjabi teachers are all native speakers. Find out more about the Punjabi language in the highlighted area below. We offer Punjabi lessons at beginner level, intermediate Punjabi were pupils have a good knowledge of Punjabi and advanced Punjabi lessons for those seeking fluency. Our teachers can not only teach Punjabi but as they are Punjabi they can inject a sense of culture into the lessons making learning the language fun. Learn Punjabi from a native Punjabi tutor and learn to speak Punjabi by discovering the culture of the country where it is spoken. Lessons take place at your home or office (or other venue chosen by you) and can take place any time between 8am and 9pm (Monday to Fridays) or at weekends (flexible times). Our recommendation is for 1.5-hour lessons but lessons can be 1 hour or longer. To find out how to arrange your language lessons, please fill in our online form. Spoken by about 88 million people spoken by inhabitants of the historical Punjab region (in Pakistan and India). 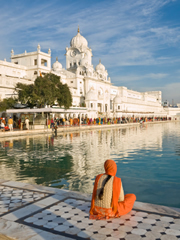 There are two spellings for the language name: Panjabi or Punjabi. Punjabi is the most spoken language in Pakistan, 11th most spoken language in India and 3rd most spoken language in South Asia. The term "Punjabi language" today generally refers to "Eastern Punjabi" i.e. the language based on the Majhi dialect. The majority of Punjabi speakers live in Pakistan, where they form about half of the country's population but it is not an official language of the country (official languages are Urdu and English). Which Areas of Kent do you cover? Ashford Beckenham Bromley Canterbury Dover Dartford Gravesend Gillingham Orpington Margate Maidstone Sevenoaks Tonbridge Tunbridge Wells Royal Tunbridge Wells.